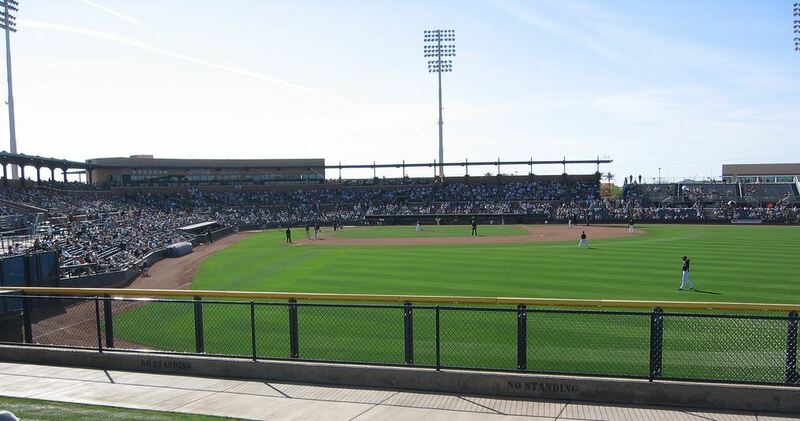 Home of the San Diego Padres and the Seattle Mariners, Peoria Stadium was the first two-team spring training complex built in the country. It is thought of by many as one of the best baseball facilities in the Cactus League. Sitting on 150 acres, each team has 6 and 1/2 major league sized practice fields. Peoria Stadium opened in 1994 and has a seating capacity of over 12,000. Every Fall it is home of the Arizona Fall League.